The Independent National Electoral Commission, INEC, released a statement that it has cancelled the earlier announced supplementary elections in Bauchi state. According to the body, it has approved the resumption, conclusion and announcement of the result of the Tafawa Balewa Local Government in relation to the Governorship election. However, in the statement released by the electoral body, it chastised the Nigerian Army for the alleged role played by some of its soldiers in the disruption of the electoral processes in Rivera state, expressing its determination to ensure the conclusion of the process very soon. 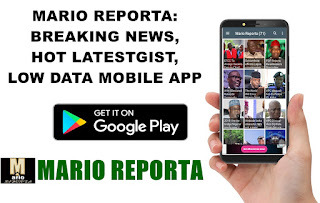 Mario Reporta gathered the two separate statements issued at about midnight on Friday in Abuja and signed by a National Commissioner, Festus Okoye. Meanwhile, the commission also announced the change of the Collation Officer for Tafawa Balewa Local Government who reportedly withdrew due to threats to her life. “On the 12 days of March 2019, the Independent National Electoral Commission (INEC) considered a report submitted by the Resident Electoral Commissioner for Bauchi State on the disruption of the Collation process at the Tafawa Balewa Collation Centre which led to the cancellation of results for the entire Local Government. The Investigation Committee also established that the number of cancelled votes for the 4 Polling Units in Ningi Local Government Area which was recorded as 25,330 in form EC40G (1) was incorrect. The actual figure is 2,533. Consequently, the Commission has taken the following decisions: Approved the resumption and conclusion of the collation of results of Tafawa Balewa Local Government Area in relation to the Governorship election as the duplicate and original Registration Area results are available. The appointment of a new Collation/Returning Officer for Tafawa Balewa Local Government to continue and conclude the collation process in place of the original Collation Officer who withdrew from the exercise citing threats to her life and those of her family members. The Collation process for Tafawa Balewa Local Government will resume on Tuesday, 19th March 2019.